Jane Martinez didn't want anyone to know when she was first diagnosed with cervical cancer -- at least until she had a plan to fix it. But that wouldn't be easy. She underwent intense surgery known as a radical trachelectomy , which included the removal of her cervix and the lymph nodes in her pelvis. While she looked forward to reclaiming life as a single mother, gymnastics coach and photographer, when finally back at work, Jane found herself struggling. "I thought I was okay, but I was having trouble handling my emotions," she said. For many people, receiving a cancer diagnosis and going through treatment is a time of fear and anguish. But it doesn't have to be, the hospital's team says. Cancer Support Community (CSC) is a non-profit organization devoted to providing emotional and social support to anyone impacted by cancer. Holy Name Medical Center in Teaneck is one of only seven hospitals nationwide to partner with CSC, offering a variety of free classes, workshops and events to all people affected by cancer -- regardless of where they receive their treatment. "These unique programs bring our participants together in a very special way that promotes social connection, emotional well-being and decreased feelings of isolation and loneliness," Holy Name’s CSC program director Courtney Lozano said. There seems to be something for everyone – from iPhone photography and knitting to expressive writing, cooking, soap making and more. "Forty different classes are offered each month, each with the goal of fostering social connections through fitness, education, support and friendship," Lozano said. 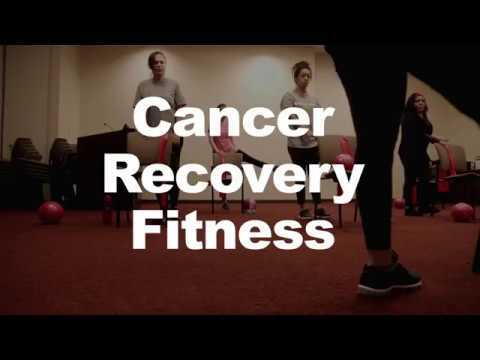 Martinez found yoga, meditation and participating in the program’s "cancer recovery fitness" class at Holy Name helped her regain physical and mental strength. "I'm very thankful for these classes, I don't know what I would have done without them," she said. No matter what your stage in life, or stage in cancer, the program is empowering, Patti Mayurnik said. And she would know. Mayurnik's ovarian cancer has recurred nine times in the last 14 years. "My cancer journey began in 2003, two months shy of my forty-first birthday," she explained. When she first started treatment, CSC, didn't exist. But in 2016, the program formerly known as Gilda's Club found a new home at Holy Name. 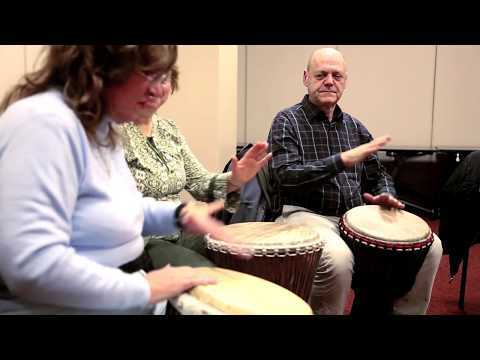 Mayurnik started to take advantage of classes like drum circle, tango for balance, and support for women coping with gynecologic cancers. It wasn't until then, she says, that she realized just how hard her life was before having the support of the program. "The programs have enhanced my outlook, helped me to become stronger physically and introduced me to wonderful people who understand the anxiety and side effects that are a byproduct of cancer surgery and treatment," she said. And then there’s Joyce Nadler. In April of 2015, Nadler's boyfriend was diagnosed with pancreatic cancer. Less than a month later, he died. "My boyfriend was my life," she said. After his death, Nadler was devastated and feared she wouldn't be able to make new friends. That is, until she learned about Cancer Support Community which is also open to caregivers, family and friends of those with cancer. Now, Nadler's social calendar couldn't be busier thanks to all of the workshops. Her favorites include painting and crocheting. She’s also looking forward to a cooking class, where she’ll learn how to make bread. "I look forward to going," Nadler said, “There's no pressure, it's social, and you're with people in a similar situation as you." For more information about Cancer Support Community visit holyname.org or call 201-833-3392.